The conceptual foundation of the project relies on finding linkages between the personal "small" history and the national and regional "big history". The "small" history carries with it deep significance for people's personal identity, and shows in depth the complexity of history. These experiences help to highlight the importance of second order concepts as multiperspectivity, inclusion, diversity, change, critical thinking, etc. in history education. Oral history approach provides a very useful tool towards grasping this realization. Connecting Central Europe Through Local History: Innovative Approaches in History Education will engage students and history educators and experts towards this goal. The leading experts from all participating countries (Poland, Germany, Czech Republic, Slovakia, and Hungary) will undergo initial training in order to be able to assist with student projects and history educators workshops in their areas. Student teams from borderland areas will collect stories and conduct interviews within their families and communities and research other oral history resources available. These resources will be used in workshops with history educators from participating countries on the used of oral history and other participatory approaches in history education and utilizing the collected materials by students and the methodology in creating modules for history educators that will be available in printable format on the website created within the project. A final conference in Hungary will present the developed modules and resource website as well as gained insight into methodology and students' experience from the field research. This project is an initial step towards a vibrant network of history education professionals in Central Europe. The project is focusing on learning about the “big” Central European history through learning about the “small” complex histories from the borderlands between Central European countries. This projects involves students and history educators uncovering the complexities and connections of local and regional histories through innovative approaches to history education. 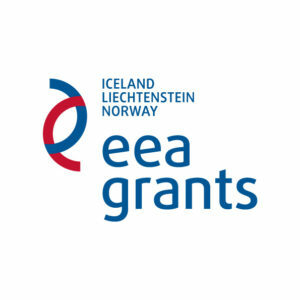 The project also establishes a unique network of top stakeholders in history education in the Central European region. Articles and publications by participating experts on the experience and approaches utilized within the project. Updates about the developments during the projects and outcomes resulting from the project have been disseminated via EUROCLIO newsletters that have been send to over 7.000 subscribers from Europe and beyond. Information about the project has been available on the official site of EUROCLIO, which has been visited by approximately 45.000 visitors throughout the duration of this project. Forum Historiae has been actively promoting local users via the means of their newsletter and website and the project team member have informed colleagues about the projects through their personal contacts. At the end of the project a Press Release has been send to various Press Contacts with whom we have been in contact before.